*Low Scoring Ground in past 6 matches, It usually depends on pitch curator. MLR declare their 13 uncharge squad for final match. MLS have declared 13-men squad for the match with one change. Jackson Coleman replaces Nick Larkin in the squad. Tom Cooper, Dan Christian (vc), Jack Wildermuth, C White, Cameron Boyce, Kane Richardson, Sam Harper, Mackenzie Harvey, Jon Holland, Aaron Finch(c), Harry Gurney, Chris Tremain, Marcus Harris. 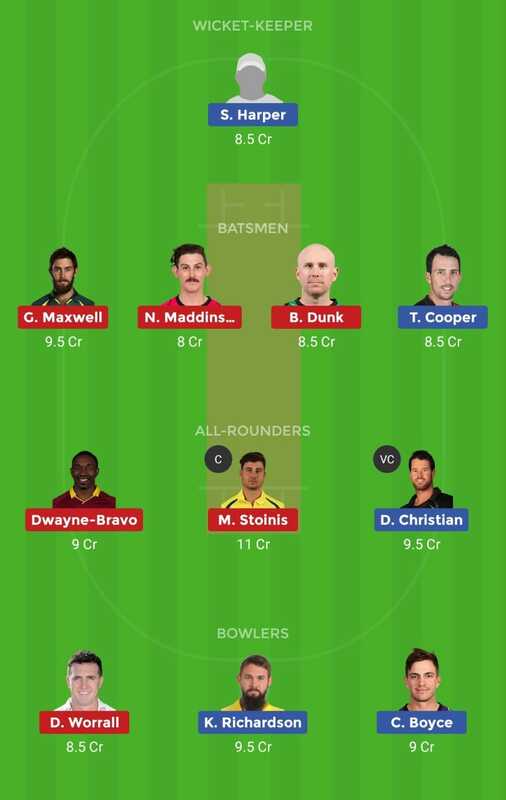 Glenn Maxwell (c), Dwayne Bravo, Ben Dunk, Evan Gulbis, J Bird, Marcus Stoinis, Adam Zampa, Seb Gotch, Peter Handscomb, Nic Maddinson, Dan Worrall, Sandeep Lamichhane, Jackson Coleman.